I’m trying to implement the example BLE application on ESP32 DEVKIT V1. 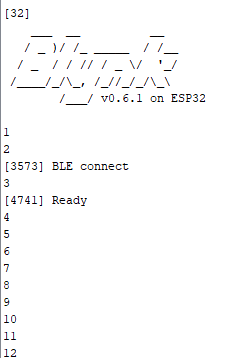 Moreover, I can see the ESP32 announce itself over BT using the scan function of my laptop. I even created an app on my Android phone (Samsung A5 2017 SM-A420F) running Android 8.0.0. The app contains a single button and is targeted to ESP32 / Bluetooth. Note that the phone is for sure able to work with BLE as I developed several apps using AppInventor2 and its BLE library, that works fine with the same ESP32 DEVKIT module, so the hardware is definitively capable to process BLE. So, I’m stuck there, any chance to make it work? Is it feasible to achieve a direct connection between the app running on Android and the ESP32 running Bylnk library ? And you probably need to use the Beta version of the App for better BT/BLE support. 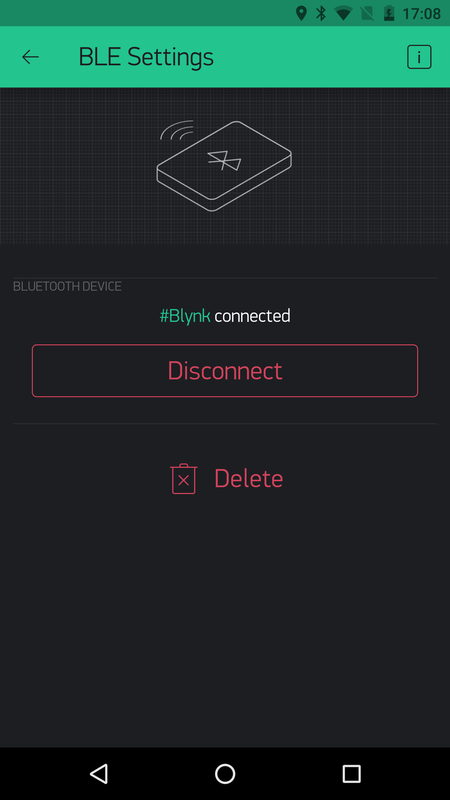 I switched to Blynk beta test app. Finally, I understood that a BLE object has to be added to my Android App. Do you have same token in the BLE sketch as the device that is used by BLE widget? - Install the current upstream Arduino IDE at the 1.8 level or later. The current version is at the [Arduino website](http://www.arduino.cc/en/main/software). - Start Arduino and open Preferences window. - Enter ```https://dl.espressif.com/dl/package_esp32_index.json``` into *Additional Board Manager URLs* field. You can add multiple URLs, separating them with commas. - Open Boards Manager from Tools > Board menu and install *esp32* platform (and don't forget to select your ESP32 board from Tools > Board menu after installation). Blynk.virtualWrite(V0, millis() / 1000);  // Display the UpTime in Seconds to Display Widget. Many thanks to all provided suggestions; in the end I managed to workout my setup and now it works, more or less as expected. It remains that a connection to the cloud is due, even when BLE is specified, at least the first time. 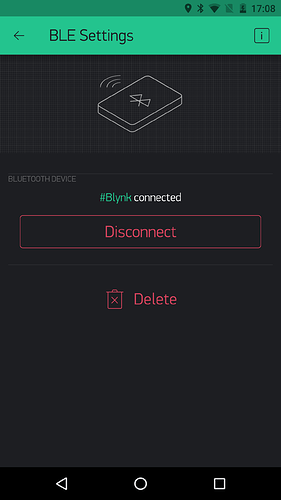 So, Blynk could be not the ideal solution in order to manage an ESP32 via smartphone app using BLE or even wifi (not considering here the local server). It remains that a connection to the cloud is due, even when BLE is specified, at least the first time. Actually the App needs the server all the time… that is how Blynk becomes an INTERNET of Things process, not just a GUI. The server, indeed, not necessarily an Internet connection (as, in my understanding, the server could be local so to enable isolated plants). In this picture is not clear to me why direct Bluetooth connection between a phone App and the physical node(s) was added at all. I don’t think it was added, so much as part of Blynk’s beginning, and soon surpassed by the new WiFi capable MCUs like ESP8266. Personally, I think it is still being developed a bit due to the abundance of BT devices (and homage to Blynk’s beginnings? )… but with such limited range and reliability issues, it seems more like a niche side of Blynk.